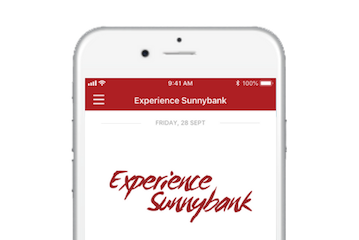 The Experience Sunnybank Loyalty App (previously called Sunny Rewards) can help you make the most of your visit to Sunny Park. Earn coins every time you visit the centre and shop in a participating store. You will be able to use your coins to redeem prizes, enter competitions and access retailer deals. Download the App by searching ‘Experience Sunnybank’ and start collecting coins today. You can also earn extra coins by completing your app profile, and when you reach milestones like your birthday! Purchase at a participating retailer to earn 10 coins*. Upon purchase, simply scan the stores unique QR code – it’s that simple! * Scan once per day, per store. 3. Enter Competitions: receive entries for exclusive Experience Sunnybank only competitions, or additional bonus entries for other Sunny Park and Retailer competitions. The more coins you collect, the more freebies you can redeem!